The Zuckerman Museum of Art presents significant works from Kennesaw State University's permanent collection while regularly exhibiting contemporary works of various media by local and nationally recognized artists. 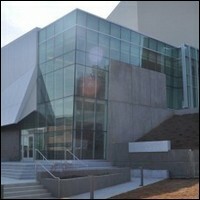 The Museum serves as a center for the enrichment of the arts, arts education and professional development. Through the creation of uniquely curated exhibitions, community outreach, workshops and programming, the museum acts as a bridge between the campus and the community while also providing dedicated exhibitions for KSU students and faculty in its satellite gallery. Parking: Limited guest parking is available at dedicated parking spaces for the Zuckerman Museum of Art in Kennesaw State University's Lot E.